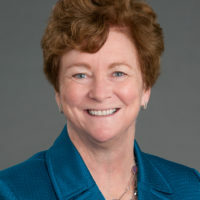 Dr. Mary Claire O’Brien is the Senior Associate Dean for Healthcare Education and a Professor of Emergency Medicine and Professor of Social Sciences and Health Policy at Wake Forest School of Medicine. She is also a mom, a mentor, a poet and a cat lady. Embrace the differences in people’s experience, cognition, and motivation. If everyone is thinking the same thing, than someone is not thinking! Team members share a responsibility to express their opinions. The team wins or the team loses. Give credit and take blame. Thank people the way they want to be thanked. Gratitude is like glue to a team. Watch the full FI18 talk to get all the details!